Think your flat screen TV lacks style" You might want to check out the midcentury modern TV stands by JALG. Yes, a midcentury modern TV, which on the face of it, shouldn?t really exist. TVs just aren?t retro. They are always modern and always about the next generation. Some companies have tried a retro TV, but by and large, they have been niche affairs that haven?t really appealed to the mass market. Ultimately, we want the latest technology when it comes to viewing and ideally something with a flat (and large) screen and as little width as possible. But this isn?t about the TV itself. 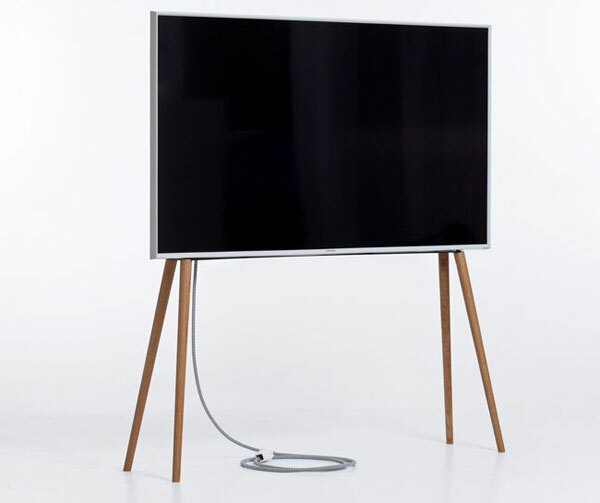 The JALG stands add in the midcentury style without touching the television. Yes, you can do that with something like the Ruark Audio R7 MKIII music system (if you are looking for an audio system too), but the JALG add-on is pretty much just the legs. Yes, this is the minimalist option, with the word ?stand? hardly being appropriate. The end result just looks like it is part of the TV. But the transformation is instant, as you can see from the photos here.